When it comes to playing online poker, there are a lot of benefits to obtain but there are also a lot of challenges and pressure involved. When it comes to the big poker prizes, there is a need to face big challenges and take on all comers but this can only be expected when you are playing for high stakes. If someone offered you the chance to win $1,000,000 through playing poker, you wouldn’t expect it come easy would you? Hopefully not because PokerStars are offering poker players the chance to become an immediate millionaire but it is going to be far from simple or straightforward. This promotion will see players travelling the world and squaring up to some of the biggest names in the world of online poker. That sounds daunting enough for most players but there is also the fact that the challenge will be shown on TV and there is a need to make your way into The Shark Cage! This is the name of a brand new television show and this is where poker players from all around the globe will take on professionals the Team PokerStars in televised heats. The winners of these heats will battle it out for a place in the final and the great news is that are seats available for PokerStars players and qualifying tournaments are already up and running. 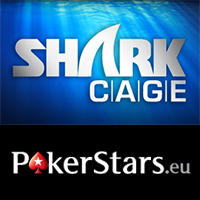 If you have the confidence to take on your rivals in The Shark Cage, this is going to be best opportunity for poker players with a great deal of confidence in their own skill and talent. There will be eight heats for the television show, all of which will be recorded at the EPT events. All of the individual heats will feature five of the best known poker professionals and one player that has battled their way through the online qualifiers. All of these players will battle it out for an opportunity to take part in the grand final which will be held at the EPT London event. This is the event where $1,000,000 will be up for grabs, so it is easy to see why poker players are keen to get involved. 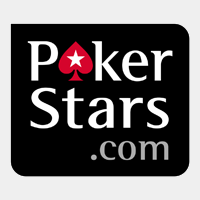 The heats have been open for all players on the PokerStars site and even users of the PokerStars for Mac software will have the chance to get involved. This means that there has been a widespread opportunity for poker players to get involved. While poker skills will take you a good way to making it big, there is going to be a casting element to decide who makes it through to the tournament. This means that you need to show some charm and personality. Even in a poker tournament where players are likely to be highly focused on the game, the producers are looking for players that viewers are going to root for. Being the outsider amongst poker professionals should be a good starting point for winning fans over but it seems as though the TV professionals are looking for even more!